Nestled above the laid-back Village of Three Rivers, California, the Log House Lodge overlooks the valley of the Kaweah River in the foothills of the Sierras. • Sit in the log rocking chair on the front deck, watch the hawks soaring above (and below) you and listen to the whisper of the river. 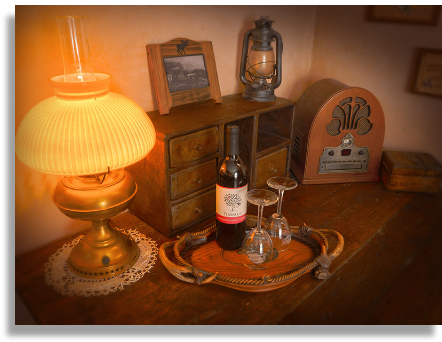 • Enjoy authentic old-fashioned music from a Cathedral radio. • Surf the Internet on our free Wi-Fi service. • Enjoy stunning views in every direction from the wrap-around deck. 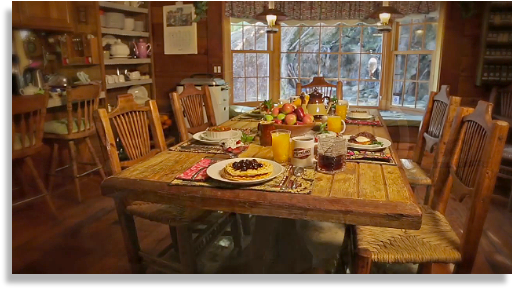 • Your delicious home made breakfast is served at a gorgeous rustic dining table with elegantly simple log chairs. • Enjoy a luscious home-made dessert prepared nightly. 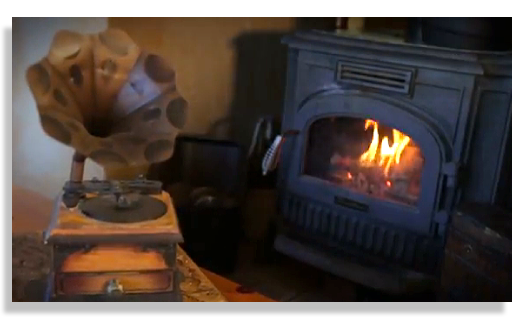 • On chilly days warm yourself by the cast-iron wood-burning stove. 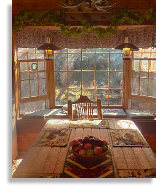 • Play a variety of board games, sing around the piano, nap, read, or just sit back and enjoy the rustic country atmosphere. 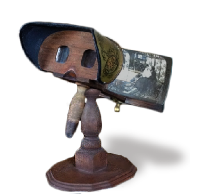 • Peek back into the past with a real old-fashioned Stereoscope. • Your room has its own Refrigerator, Clothes Iron, Ironing Board, Toiletries, Bathrobes and Hairdryer. The Log House Lodge gives you everything you need to relax and enjoy getting away from it all.